Ready…Aim…Fire and give in to temptation. CastleStorm has come to Switch. 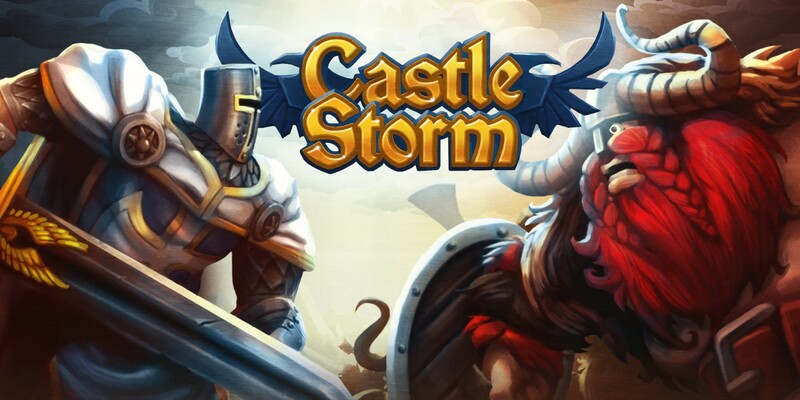 Provided you were vigorously gaming in 2013, because let’s be honest, even the most die-hard gamers have an occasional quiet year, there’s a mighty fine chance you might have heard about CastleStorm. Heck, you might even have played it. Released on platforms such as Xbox 360, Windows, PlayStation Vita, PlayStation 3 and even the Nintendo Wii U, there really was no escaping the Zen Studios developed tower defence title. Thanks to some great scores, the game did become something of a hit with those who played it and CastleStorm actually got to build on its success thanks to extra campaigns and a Definitive Edition that released in 2014 on PlayStation 4 and Xbox One. Fast forward to the present, CastleStorm has released on the Nintendo Switch and I find myself in that position where I must ask the question of “How does CastleStorm hold up in this day and age?” Well, truth be told, it’s still such a delight to play that even if you were a fan of it on other platforms, you do owe it to yourself to play it again as it just feels so wonderful on Switch. In fact, for some of you, it might even feel like a different game altogether, since it is the more modern version of the game available on Switch and a couple of things have been Switched up. (Reasonably decent touch-screen controls, motion controlled camera movement, support for both split Joy-Con controllers and Pro Controller and HD Rumble.) Then of course, there’s the actual performance. Regardless of whether you choose to play in handheld mode or docked, CastleStorm will run at 60 fps, where it differs though, is in the resolution as docked offers 1080p and handheld has 720p. Essentially, what this means is that provided you choose to give CastleStorm a go and find yourself in the middle of fighting off another attack, in this game with a medieval setting, the combat will be satisfactory and that’s what really matters. There is a bit more to it than that, but that is the premise of CastleStorm in a nutshell. Where it gets fleshed out though, is in all the content and mechanics it has. In typical tower defence fashion, there are a whole bunch of upgrades and items players can use to their advantage. For example, a whole range of projectiles can be purchased and the coins used from each victory, can be used to strengthen them. Should you have no friend to play CastleStorm with you though, it’s okay since there is an online mode that offers the same experience as local multiplayer and just for the sake of saying it now, Hero Survival is the mode where you can profit the most. But, it’s time to move on to the main campaign! When CastleStorm first released, the main story mode found in single player, only had two campaigns to play through, Kingdom Quest and Welcome to Vikingland. In Kingdom Quest, players must assume the role of Sir Gareth, protector of the realm and fight off the Viking invaders and recover the stolen Teardrop Gem. As Gareth’s journey progresses, the Welcome to Vikingland campaign will begin and players will need to play through it, should they wish to see the end of Gareth’s whimsical adventure. As for how the levels are played in the main campaign, well, it all requires a combination of buttons and analog sticks (unless of course, you’re using touch-screen controls.) But ultimately, the right analog stick is for moving the screen across and zooming in and out, the left stick is for aiming, A is used for firing projectiles, X is used for spells and Y is how you command your troops. Of course, pressing that button once is not enough though, is it will only bring up the menu associated with that command, but you can then use L and R to cycle through the present menus and pressing the button that first brought up a specific menu, again to put your wish into effect. With summoning troops, although gold is not required, food is and unless you have the required of food to feed them, you won’t be summoning anyone any time soon, but food will always come so don’t worry too much about that. What you should worry about is knowing when to press B as that will tell your soldiers to take cover. An effective tactic to be used whenever the enemy is firing at them, or you are firing a spear at someone in front of them and you don’t want to injure anyone on your side. Something you can do to avoid friendly fire though, is summoning your chosen hero to the field of combat. It only lasts for a finite amount of time but armed with a striking weapon, a projectile (Gareth has a Bow and shoots arrows,) and an X, your hero is a force not to be reckoned with. Plus other than them attacking enemy soldiers, there is a plus to keeping them alive and that’s the means to win. Although some levels will ask you to straight up destroy the enemy’s castle (try not to let your own be destroyed,) sometimes victory is as simple as walking in the front door of a rival’s keep and taking their flag all the way back to yours. That won’t win you every level though as some desire you to survive and there will even be Bonus Quests for you to try and full because, if you don’t and you weren’t accurate enough and was only playing on Casual mode (the easiest difficulty,) you will not be getting the 5 available stars that every main and side level have to offer and what a task that is! Just in case this game wasn’t packed enough and offered hours upon hours of content, for those who want to 100% the game, you won’t be doing that any time soon! If you are after an absolute bargain, despite its age, CastleStorm is a complete steal. It’s got a great look and way about it, it’s fun whether you’re playing alone or with someone else and most importantly, it is a game that you and your Switch deserves.